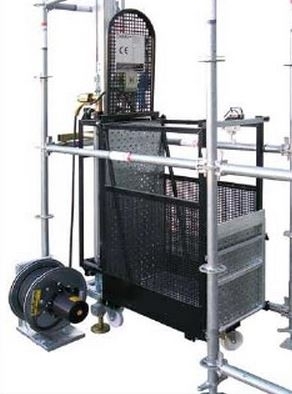 The CAMAC SMART is the first Rack and Pinion Hoist created specifically to work with scaffolding systems. Its light and compact design and reduced dimensions allow different kinds of installation in any type of scaffold. Light motor group, easy to handle by two operators. Time saving. Easy transport: the cabin can be dismantled by removing only three bolts. Time saving. Easy to install by just one operator. Time saving. 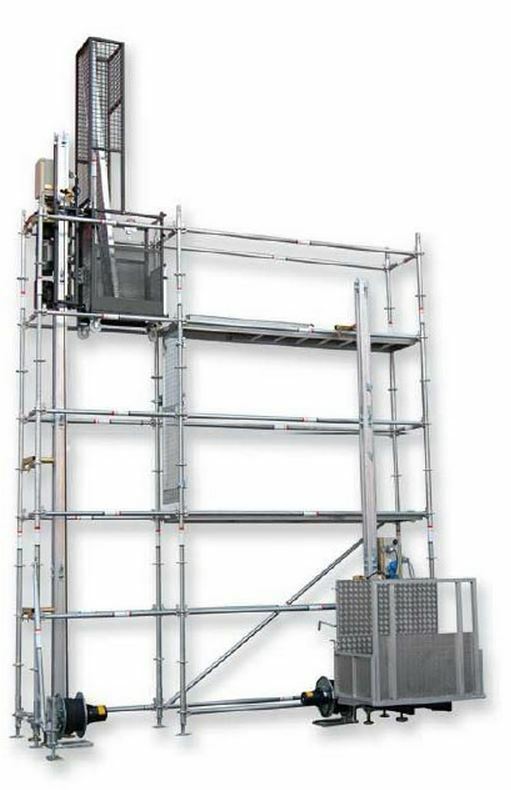 Speeds up the installation of the scaffold allowing the lift of more elements in each trip. Time saving. The safest elevation system in the market. Emergency brake, top and bottom limit switches, gate switch, etc.). Improvement in work quality and safety. 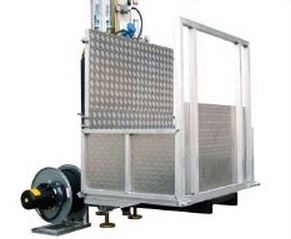 Speeds up the distribution of material in the scaffold. Cost saving. No need for additional space on the pavement. Cost saving. Facilitates the operators' work. Improvement in work quality. Innovative cable winding system with automatic winder, which allows to easily removing the cable in non-use periods (nights, weekends, etc.). Improvement in security. Low weight, high resistance aluminium column. Time saving. Light and resistant aluminium cabin. Cost saving. Over-dimensioned cabin (fits 1 wheelbarrow). Cost saving. Rotating cabin for comfortable loading and unloading. Minimum use of pavement space. Cost saving. Easy installation from the scaffold and the cabin. Time saving. Available with electric cable winder or metallic drum for cable storage.